I arrived in Hartford, Connecticut after a three hour delay due to storms on August 6th. The central and east part of the US has been pounded with numerous thunderstorms the past month. Anyway, here I am. 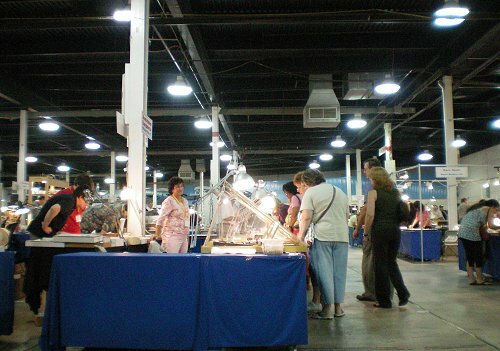 People started to assemble at the show on August 7 for set up day. I saw Scott Werschky initially and he related that he was lucky to still be walking and talking. He'd been in a major car crash the day before while in Rhode Island and he showed me some of the pictures of his rented VW post-crash. Mercy!! He then he showed some of the bruises and lacerations that he acquired. 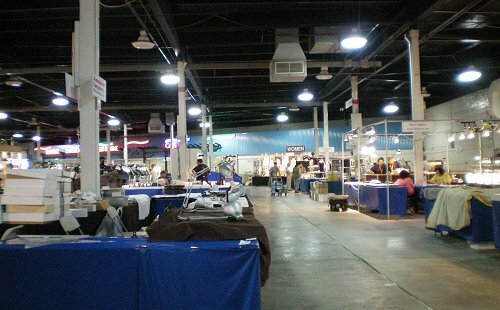 There could easily have been an open space at the show. He has nothing but glowing praises for seat belts and air bags. We're all glad he's still walking and talking among us though. A lot of people are getting revved up to see the Herb and Monika Obodda Collection displays. Colleen and I went out to visit Herb and Monika at their home last May and spent the week with them visiting New York city and some of the sights around northern New Jersey. They are an absolutely delightful couple and very generous of their time and spirit. Their enthusiasm for all sorts of things and activities is infectious. I will have a large selection of specimens from Herb Obodda to post for this show update so stay tuned. 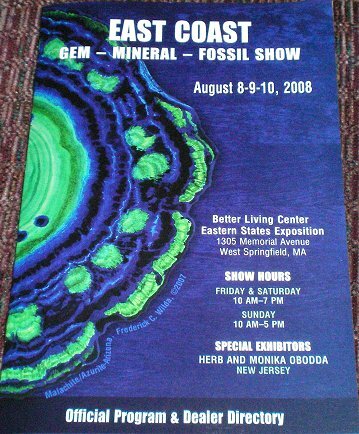 Well, as has become the norm of late there is very little of significance to report on as something new in the mineral world here at the East Coast Show. But there are just mountains of good specimens here from recently released collections. These days it is the recycling of collections that is offering the most in terms of interesting new things at shows it seems. The entrance to the show with rainy skies overhead. But somehow, through a lot of tiring work, it does. There are also new specimens from existing localities coming to shows like this. Scott Werschky of Miner's Lunchbox had a flat of brand new gold specimens from the Olinghouse mine in Washoe County, Nevada available. 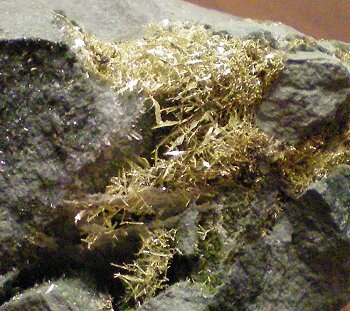 This locality is noted for producing specimens of delicate crystallized wire and filigree habit gold. I haven't seen much of these for a while so I bought the entire flat from Scott. 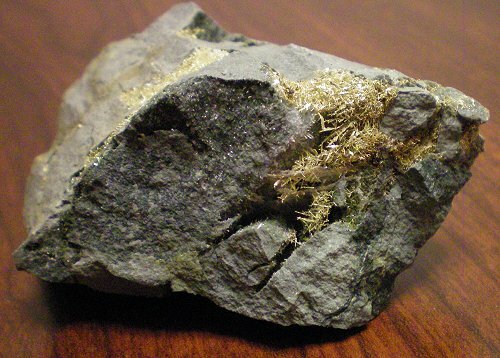 One of the twelve gold specimens from the Olinghouse mine. Here's a shot of Scott with a customer at his booth. Dudley Blauwet had about the only thing new to report on. 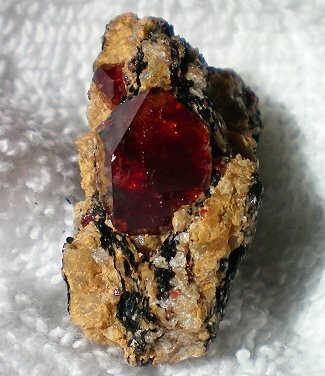 Some blazing red zircons from a new find from Harchoo, Astor, Diamer, Pakistan. The crystals are found in a schist and are lustrous. I do not know yet if they are fluorescent under SW UV light. One of the six zircons I purchased from Dudley. 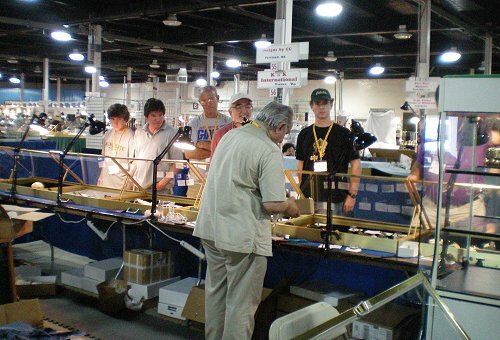 Here's a shot of Dudley (white outfit) with customers at his booth. 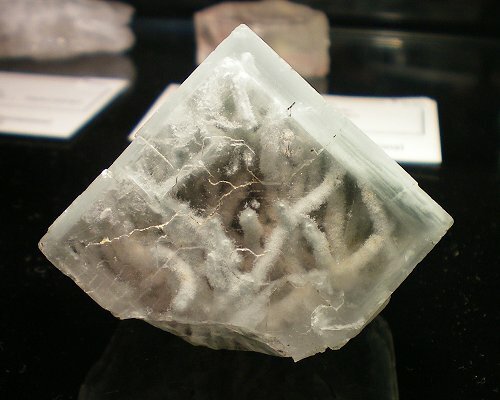 Dudley also had several other interesting things - I was too late to get this remarkable fluorite specimen with odd inclusions from Badakhshan, Afghanistan but I did get a gemmy sphene crystals with calcite from Pakistan. 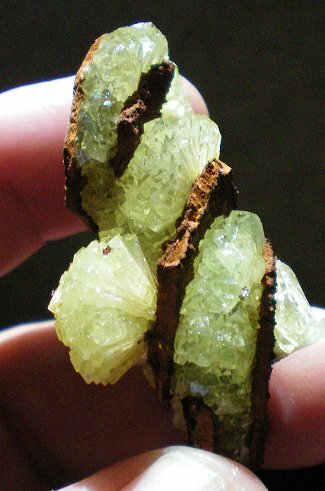 He also had a number of root beer colored, cat's eye vesuvianite specimens from Baltistan, Pakistan but these have been out for several years so I passed on getting any. 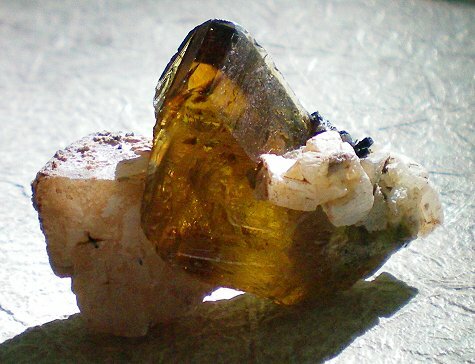 5 cm crystal of fluorite with inclusions. 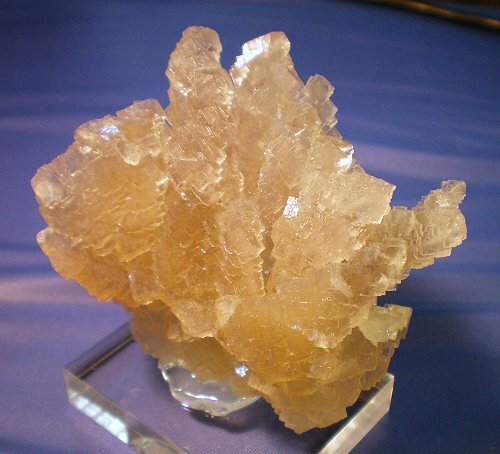 Two pictures of a twin, gem sphene crystal on calcite from Pakistan. New York dealer John Betts was handing specimens from the Lambert Collection. I picked up two rhodochrosite specimens from him - one of a sliced and polished piece from Catamarca, Argentina and the other a gorgeous specimen of the famous wheat sheaf habit from the N'Chwaning mine in South Africa. 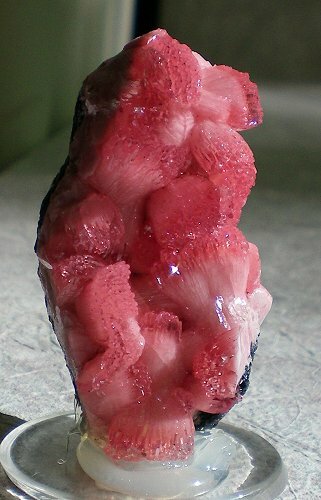 6.5 cm specimen of the wheat sheaf habit rhodochrosite from South Africa. 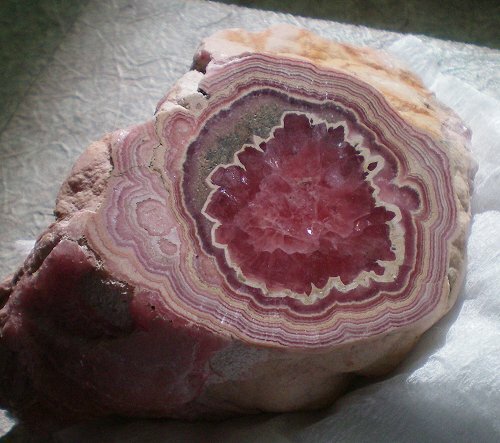 Banded rhodochrosite specimen from Argentina with a polished surface. 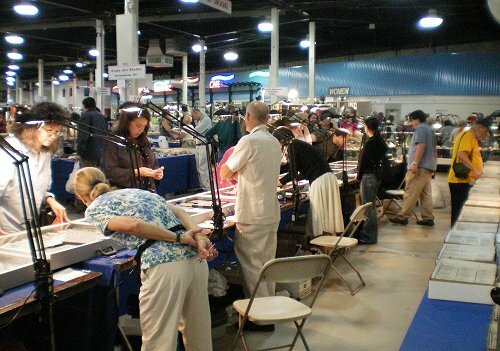 This year the usual frenzy surrounding Phil Scalisi's Studio C booth was missing. Just one of those things I guess. Here's a shot of Phil with a few onlookers as he unwraps his specimens. Florida dealer Isaias Casanova was set up in Carter Rich's old spot. 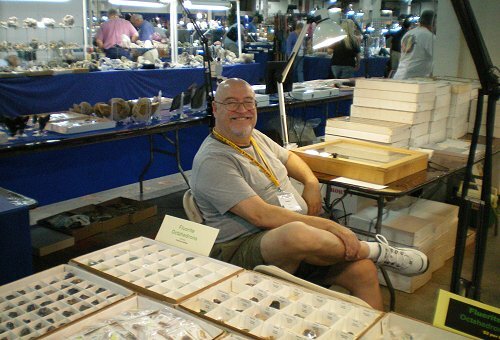 Carter, as you may recall, has retired from doing mineral shows but he is still an active buyer and collector. It was a pleasure to see him again. Carter coined the term "Internet Cheese" as it relates to minerals that Internet mineral dealers, such as myself, buy for the web. Here's the happy Cuban in his booth. that there were only two of these and this was the last of the two. Don and Gloria Olson were also handling an old collection. From it I picked up this remarkable adamite specimen. 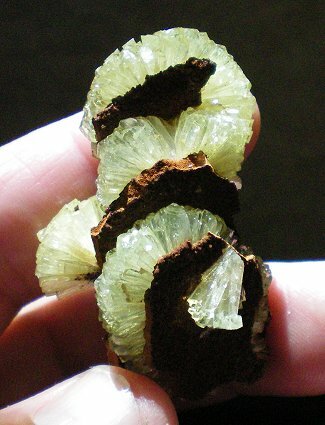 Three pin wheels of yellowish green adamite sandwiched between layers of limonite from the Ojuela Mine in Mexico. 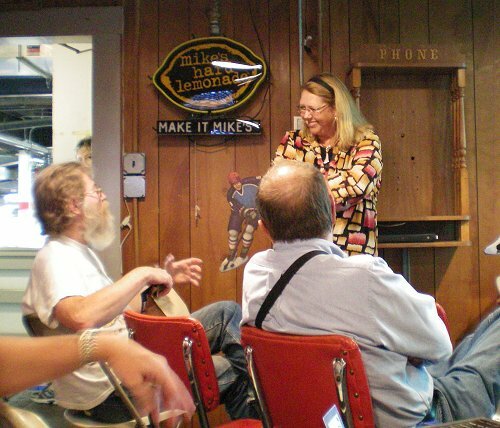 On the 8th, avid Texas collector, Gail Spann gave a talk on the perspectives of women as mineral collectors. 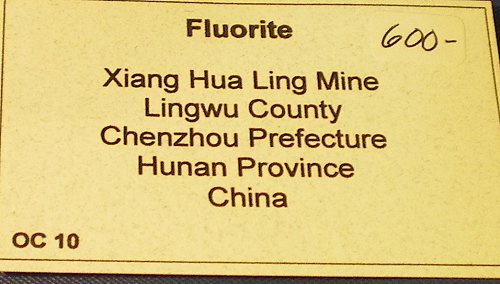 To say she likes and appreciates minerals is putting it mildly. Her enthusiasm is contagious. She and her husband Jim have transformed their home into a mineral museum of sorts with beautiful custom designed mineral cabinets from Keith Williams. She and Jim both love to talk minerals with anyone who enjoys minerals. Gail chatting with folks in the audience prior to the talk. 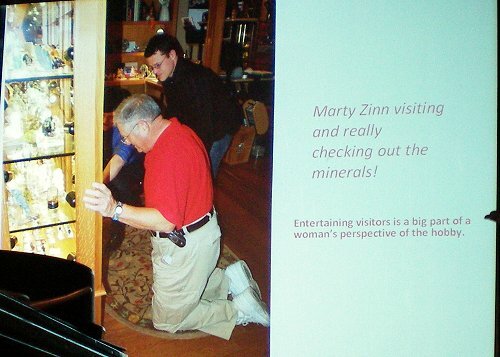 One of the slides in her presentation had a picture of Marty Zinn kneeling. 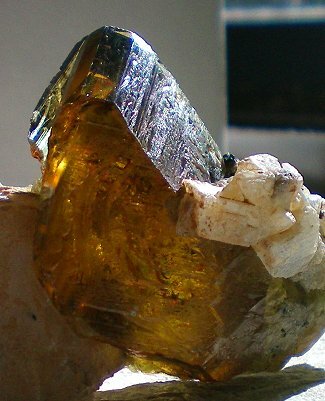 If you will recall at Tucson there was a lot made about the new find of spessartine from Tanzania. There were a lot of comments about scarcity and such well...New Era Gems was set up with scads of the crystals and 2 cm crystals were being sold for $100 to $150. 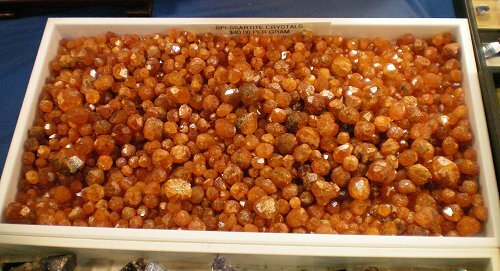 Crystals to 5 cm were available for $500. There is no indication that there will be a shortage of these anytime soon...Such is the nature of metamorphic deposits. Here's a tray with several hundred spessartines from 1 to 2.5 cm across. On Saturday night a group of us went to dinner at one of the finest restaurants in Springfield. 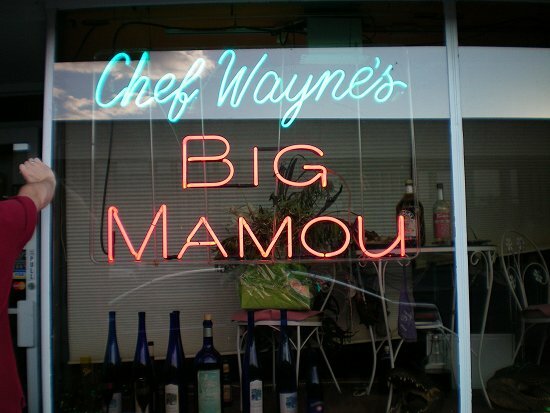 Chef Wayne's Big Mamou. This is authentic cajun style cuisine and it is incredible. I have been to New Orleans, Baton Rouge, New Idria, Breaux Bridge and other haunts in southern Louisiana and this place has the best food I have ever had. C'est tres bon! One of the interesting features of this place is that it does not serve alchohol. You can bring your own bottles in, however, and they will uncork them for you. Should you happen to find yourself in Springfield this is a can't miss supper. The entrance to Big Mamou. 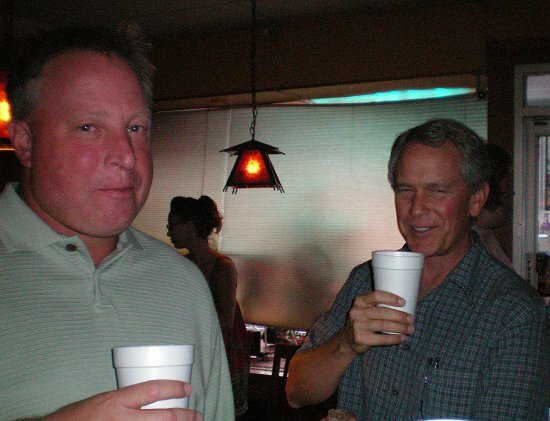 Dan Weinrich and Scott Werschky enjoying a sip while waiting in line. 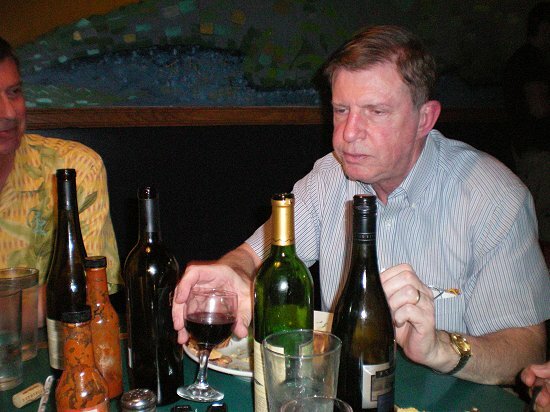 North Carolina dealer Bill Logan (Spectrum Minerals) trying to decide which wine was the best. 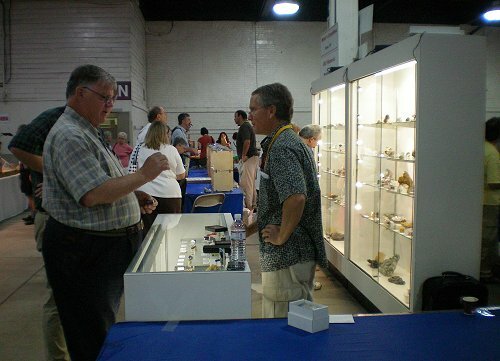 I will be posting specimens found at the show when I get back and also a large array of specimens from Herb and Monika Obodda. These should be up sometime around the 17th or 18th of August. As usual, many thanks to Marty and Rose Zinn and Laura Delano and the rest of the MZ Expos crew who pull this show together. 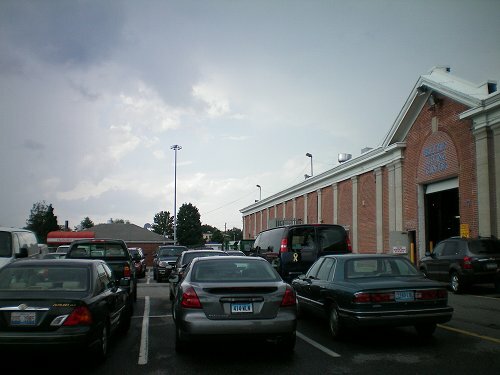 See you again next year here from West Springfield, Massachusetts. The material on these pages may not be used without permission.